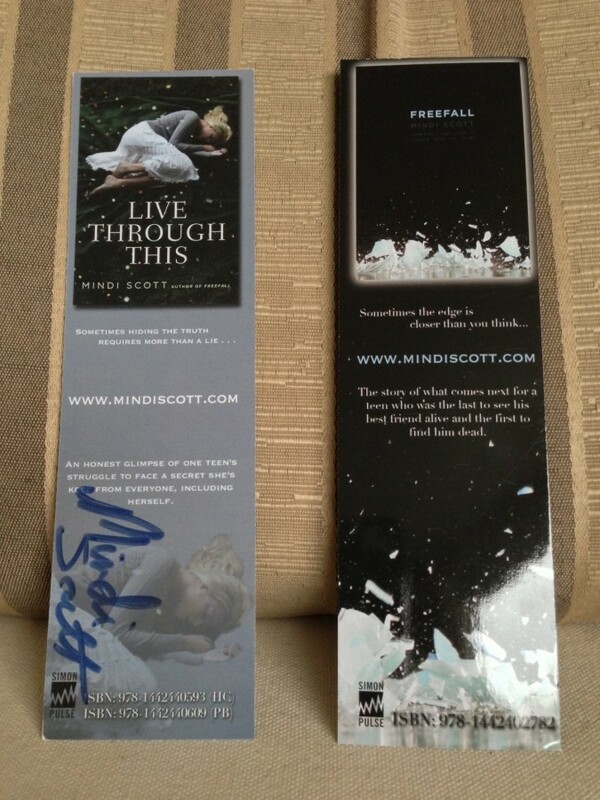 I know you're thinking that they sure are pretty and that you'd like one of the Freefall bookmarks AND one of the scribbled on Live Through This bookmarks, right? Here's a secret: The bookmarks are dual-sided. So, if I send you a Freefall bookmark, you automatically get the signed Live Through This one, too, because it's printed on the back. And vice versa, obviously.Yay! So would you like a bookmark? Or two? Or even three? If, yes, please fill out this form to include your name and mailing address and I'll mail them over! It'll be a Happy New Year 2013 gift from me to you. One more thing, this giveaway is for U.S. and Canada addresses only. Because, you know, international shipping costs a lot of money. Sorry!